The following contains graphic content. Viewer discretion is advised. Former Honduran policeman Ivan says he moved homes so many times to escape the street gangs that terrorize his Central American country that he lost count. Fearful his sons would have to join the gangs or be killed, he eventually joined thousands of Hondurans fleeing to the United States. 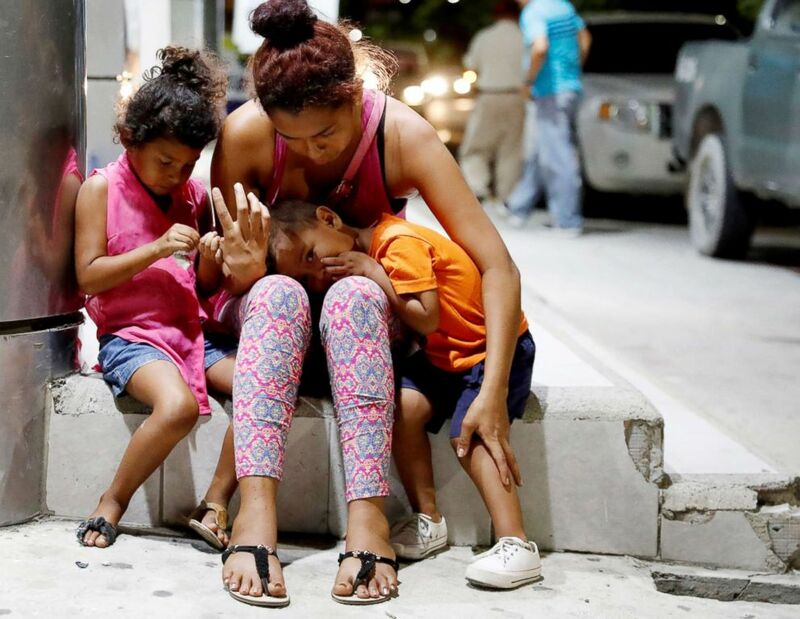 Fransisca Sislavas sits next to her daughter Brittany and her son Rony near the vehicle after an unidentified gunman killed her husband in a taxi in San Pedro Sula, Honduras, July 26, 2018. U.S. President Donald Trump has declared the caravans an "invasion," and has sent some 5,800 troops to "harden" the border, including with barbed wire. 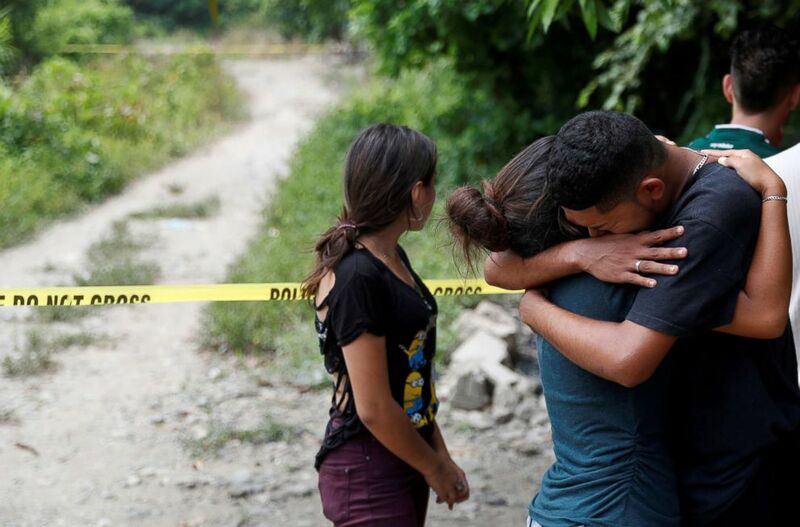 The friends of two men who were killed in gang violence cry at the crime scene in San Pedro Sula, Honduras, July 24, 2018. Ivan, fearful to tell his story, is watchful for gang tattoos or slang that might suggest fellow migrants were associated with his persecutors back home. The former policemen said the final straw in Honduras came when gang members put a gun to his 15-year-old son Yostin's head. 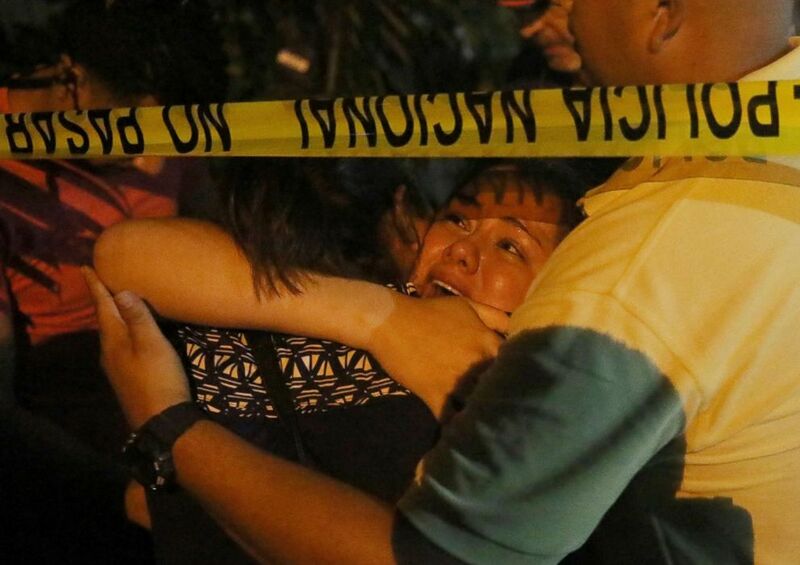 A woman cries at a crime scene after two men were killed in gang violence in San Pedro Sula, Honduras, July 13, 2018. They wanted Yostin and younger brother Julio, 13, to join them, threatening death if they refused, Ivan said during a break in the caravan's northward journey at temporary camp in a Mexico City stadium. 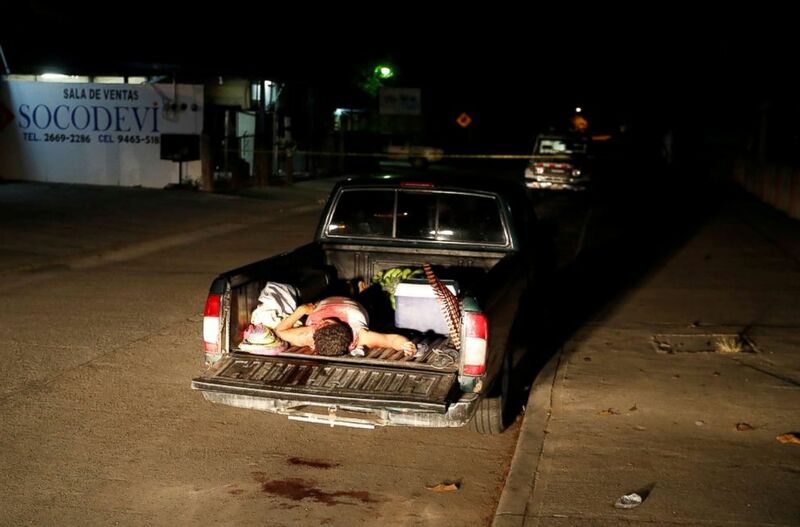 The body of a man killed in gang violence lies in a pick-up truck in San Pedro Sula, Honduras, July 22, 2018. However, their motives echo others in the caravan and are a reminder of the influence the gangs called 'maras' wield across El Salvador, Honduras and Guatemala despite almost 20 years of efforts to crush them. 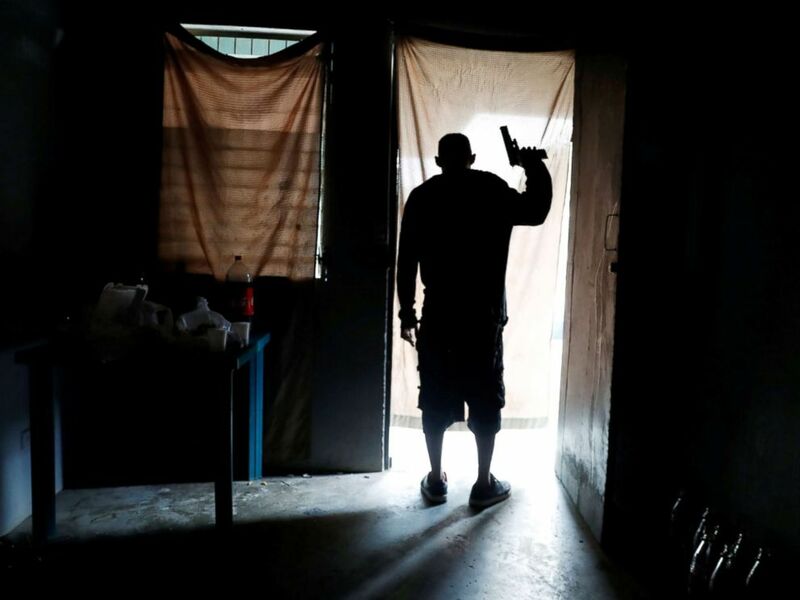 Homicide rates have fallen in Honduras since 2016, as a consequence of initiatives that include prison reform, the creation of a specialized anti-gang security force, and increased resources for law enforcement. 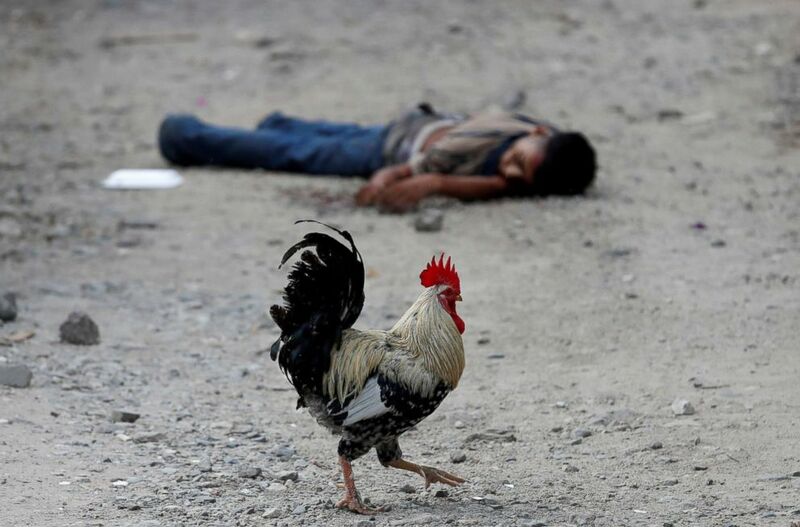 A rooster walks past the dead body of a Barrio-18 gang member in San Pedro Sula, Honduras, Sept. 28, 2018. Still, the murder rate in Honduras remains one of the highest in the world and catastrophic. Some international aid organizations such as the Norwegian Refugee Council operate in the country with the same precautions as in war zones, and say inhabitants face the same dangers. 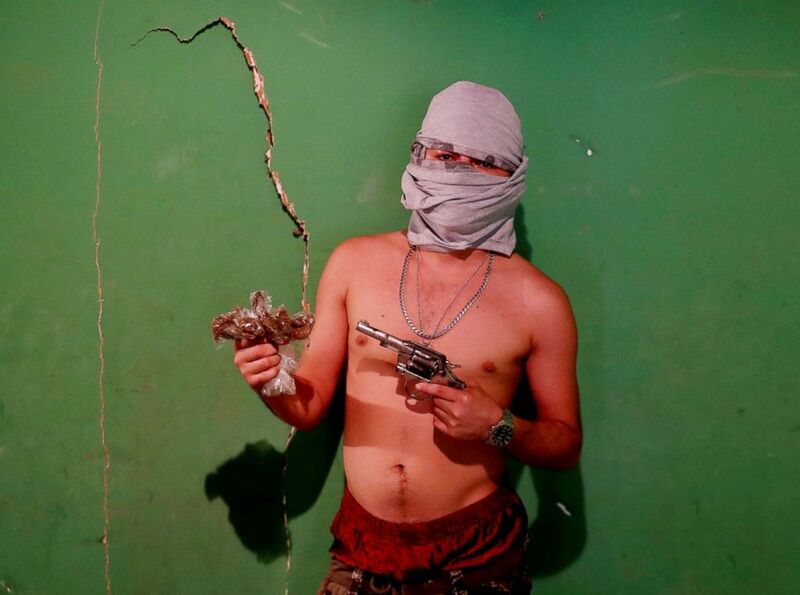 An MS-13 gang member poses for a photograph as he holds a gun and a bag of marijuana in San Pedro Sula, Honduras, Oct 6, 2018. The gang member described himself as a drug dealer and assassin. 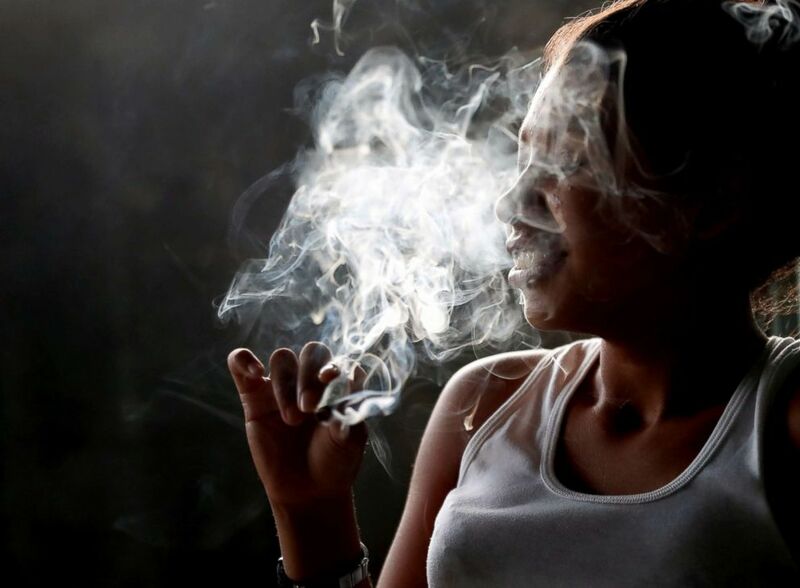 A 15-year-old girl smokes marijuana with MS-13 gang members in a house in San Pedro Sula, Honduras, Sept. 29, 2018. "They know us and so they hunt us down," he said. 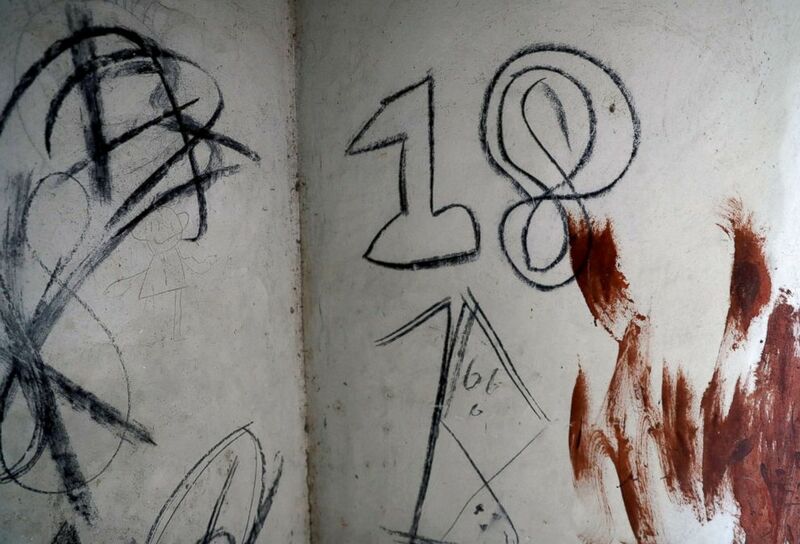 Blood is seen on a wall next to Barrio-18 graffiti in a so-called Crazy House in San Pedro Sula, Honduras, Sept. 27, 2018. On the cocaine transit corridor to the nearby port of Puerto Cortes, San Pedro Sula was for years one of the world's most dangerous cities. Its morgue was so full of corpses that locals said their smell permeated the streets. 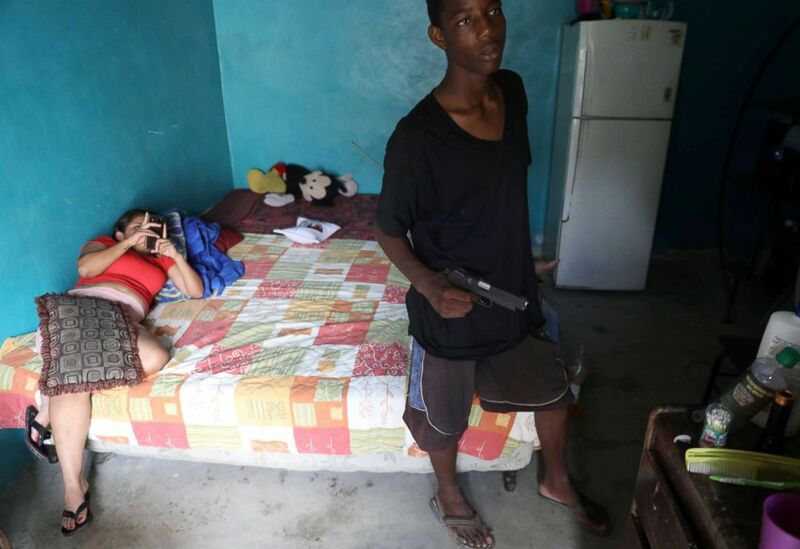 A Barrio-18 gang member holds a gun in a house in San Pedro Sula, Honduras, Sept. 20, 2018. Fransisca Sislavas waited stone-faced between her son, Rony, 2, and her daughter, Brittany, 4. The girl's ankle was splattered with her father's blood. "I don't know. Why? How? I just don't know," she said. 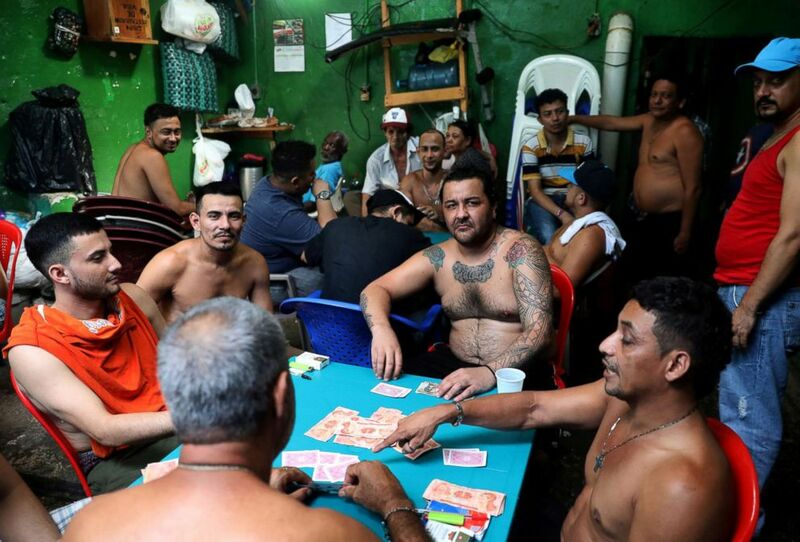 Prisoners play cards in Puerto Cortes jail, Honduras, July 31, 2018. Henry Fernando, (not pictured), an active member of MS-13, also known as Mara Salvatrucha, said he walked more than 3,000 miles and almost died in the desert crossing from Mexico to find his mother, who had left him for Virginia. 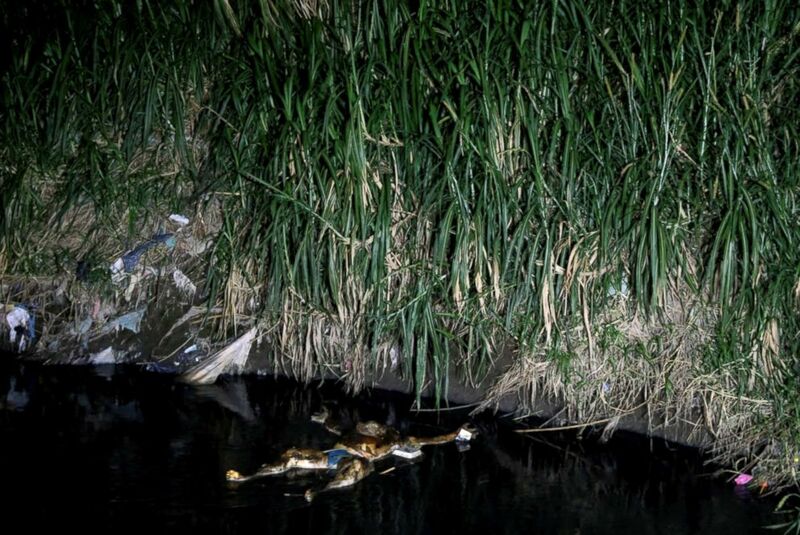 The body of man killed in gang violence floats in a canal in San Pedro Sula, Honduras, Sept 24, 2018. Quickly deported, MS-13 was the only home he found, he said, recalling the girlfriends, or "jainas", that leaders offered, serving as payment for the marijuana and crack cocaine he sold. Reuters was not able to independently verify his story. U.S. Immigration and Customs Enforcement said it was unable to trace Fernando's deportation based on the information Reuters was able to provide. A member of MS-13 street gang looks out from a house as police patrol the street outside, in San Pedro Sula, Honduras Sept. 29, 2018. All of them said they joined the gangs as boys from broken homes in broken neighborhoods.